Individuals who as children were removed from their biological families are the nation’s highest risk group to suicide. 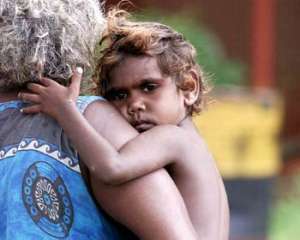 They are four times at risk than the nation’s highest population risk group to suicide; the Aboriginal and Torres Strait Islander population of the Kimberley which is the world’s second highest population risk group to suicide – behind Greenland’s Inuit peoples. Despite all the good work done by many in saving lives, the suicide toll, particularly for the most elevated risk groups, is on the increase. The most elevated risk groups for Aboriginal and Torres Strait Islanders are individuals removed as children from their families, former inmates, the homeless and families evicted from public rental housing. When children are removed from their families because of alleged exposure to violence, dysfunction and other perceived aberrant behaviour they are not provided adequate healing and trauma informed counselling and restorative therapies. The removal of a child from his or her family is a significant psychosocial hit, going straight to the validity of the psychosocial self and the id and simply it hurts, for many unbearably. Where there is no prospect of reunification with the parent(s) and siblings the trauma can degenerate to a constancy of traumas. One’s familial identity is made a liability and there is a disconnection with who they are and this impacts who they will be. Doubly so for Aboriginal and Torres Strait Islander people who daily have to deal with potential racism and the negative public spectacles and ceaseless conversations that diminish their historical and traditional heritage. When your identity is manifest as a liability it rips into your self-worth. For many there is the inescapable constancy of trauma, compounding the situational trauma of removal with multiple, composite traumas and for many degenerating into disordered thinking, aggressive complex traumas. Childhood in itself, no matter how train-wreck a childhood is a protective factor and instead the traumas can play out once the child becomes an adult and starts to navigate through the world, through family building and through the accumulation of stressors. Individuals who have been removed as children from their families endure the highest rates of high end depression, attempted suicides and suicide. Child Protection and Family Services should reinvest the majority of their enormous budgets into assisting vulnerable families instead of far too often taking the reductionist and minimalist approach and remove children. There is a two year old program in Western Australia, the First Nations Homelessness Project and Advocacy Service that so far has a one hundred per cent success rate in keeping Aboriginal and Torres Strait Islander families together who were at-risk to having children removed, and who were at-risk of homelessness. This game-changing project wraps around a through-care approach, ongoing and never gives up on the vulnerable families. The project coordinates psychosocial counsellors, social workers, health practitioners and mentors and has solutions-based approaches to resolving issues for families with both the Departments of Child Protection and Housing (social housing). In so doing they validate people and this is imperative. Increasingly one agency after another is turning to this program but what should occur is the inculcating of their approach, period. One in nine of Western Australia’s Aboriginal and Torres Strait Islander children have been removed from their families and it is a similar debacle in South Australia and New South Wales. A significant proportion of these children will grow up with a sense of despair, self-loathing and the high distress levels will delve into aberrant behaviour, filling prisons and mental health wards at the highest rates. There will always be some children who must be removed from their families but they should be supported 24/7 with various hope, for this must always flicker – and that they are not completely disconnected from familial and cultural heritage. It is my immutable view that the majority of Australia’s children who have been removed should not have been. Identifying trauma in any given population, including LGBQTI people, former inmates, foster children, the homeless, the chronically impoverished, newly arrived migrants, culturally and linguistic migrants and Aboriginal and Torres Strait Islanders, we start with behavioural observations and proceed with the opportunity for the individual to tell their story. We should never use the telling of their story against them but to inform the ways forward, to keep families together or to connect them with their families who love them but who at the time may not have been coping and always to keep them connected to their identity. Our capacity to listen is an imperative and must be achieved without judgment, for often redemption is needed: forgiveness in addition to sympathy and empathy. These skills do not come easy to everyone but they are vital in the suicide prevention space, in trauma counselling, in restorative therapies, in navigating people to a positive self. There is no greater legacy that any government can have than to prioritise and invest in the improving of lives, the changing of lives, the saving of lives. As I end this piece, I remember a father of eight children who took his life because he had not recovered from the unaddressed trauma of being removed from his parents. In the last several years I have responded to many suicide-trauma-affected families. I have found that a significant proportion of the child and youth suicides were children and youth who had been removed from their biological families. A significant proportion of fathers and mothers who took their lives had also been removed from their parents. There is a humanitarian crisis in this affluent nation, a catastrophic, systematic crisis: the suicide toll of Aboriginal and Torres Strait Islanders, officially at more than 5 % of Aboriginal and Torres Strait Islanders, is a staggering statistic but it is even more harrowing, with the real figure at around 10%. One in 9 of the nation’s Aboriginal and Torres Strait Islanders have been to prison, in fact one in 8 in South Australia and one in 6 in Western Australia and the Northern Territory. South Australian Aboriginal and Torres Strait Islanders are jailed at the world’s fourth highest rate, with Western Australia second highest and the Northern Territory ranked third. The multifaceted issues are intertwined in having produced this narrative and unless we radically change policies to authentically work with families and in addition to transform prisons to places where the onus is on improving the wellbeing of inmates the number of children removed and the suicides will increase.